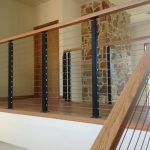 While we often discuss the way that contrast in style and color can make a staircase pop, some use complimentary designs that tie all the surroundings together. 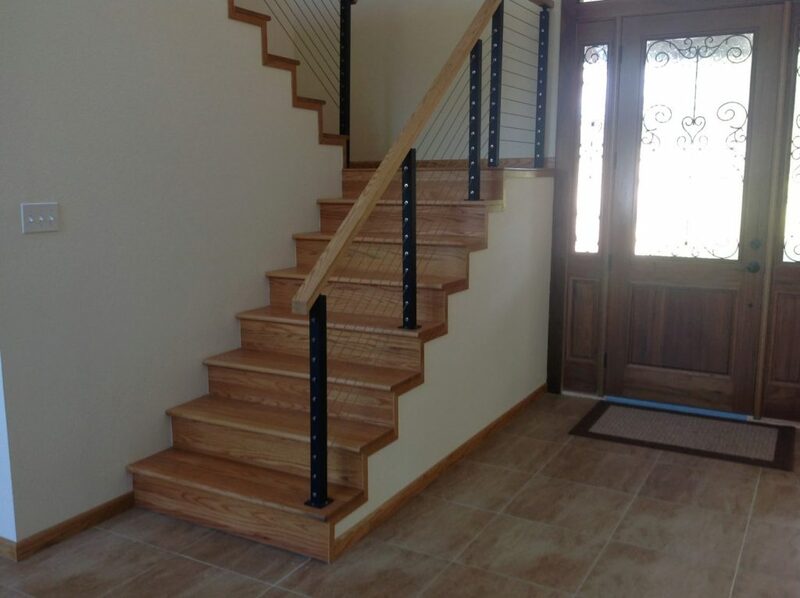 In this project, the light colored handrail matches the lighter aspects of the flooring. 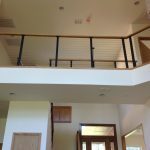 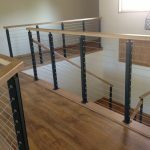 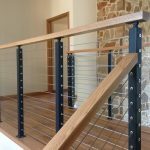 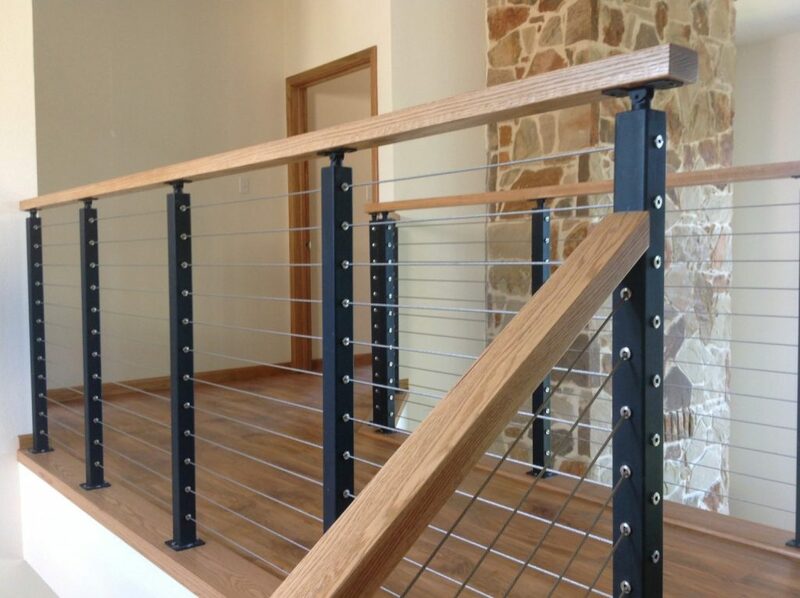 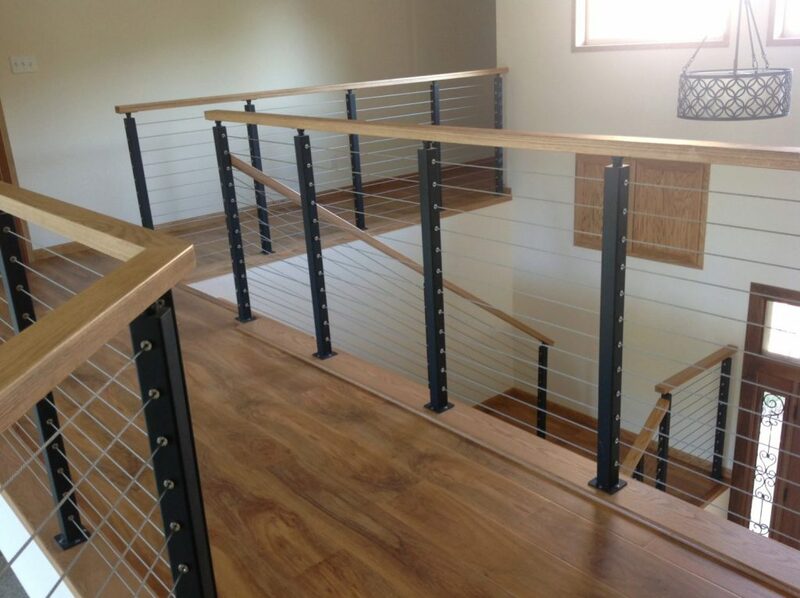 This connection between the railing and the floor gives the entire home a sense of cohesion. 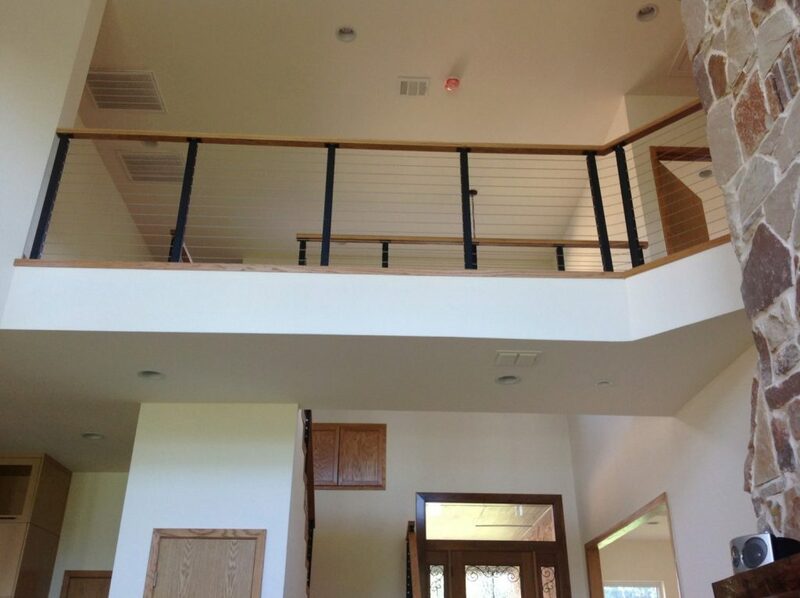 The variation in both the handrail and the floor provides beautiful visual interest. 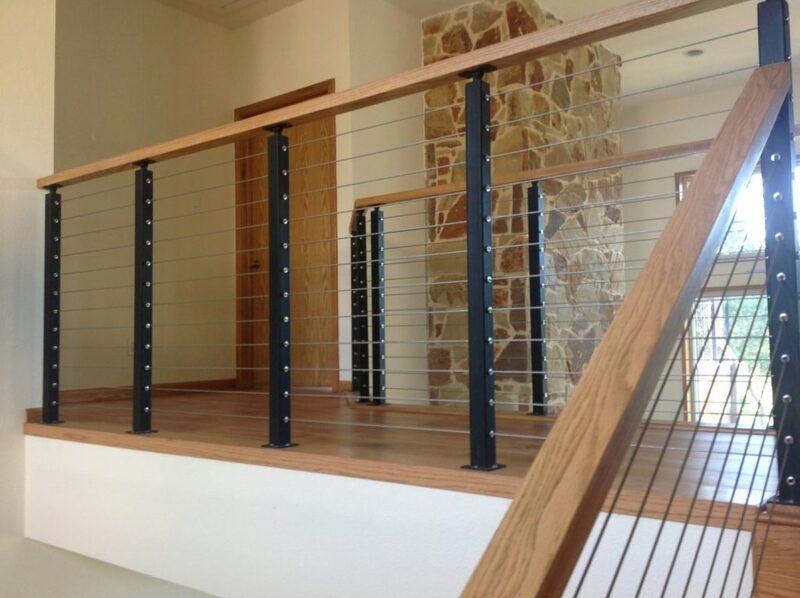 In addition, the black posts offer some contrast and are excellent accents in the otherwise light home.